LIMITED SUPPLY!!! This booklight was featured in our May box and when it's gone, it's gone. We searched long and hard for the best booklight, just for our subscribers. 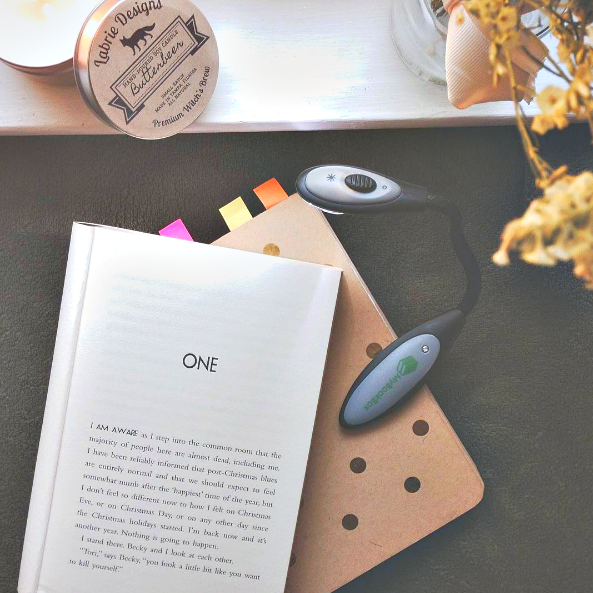 Our MyBookBox booklight features our logo, a fully adjustable light, and a clip for your book, perfect for your favorite reading spot.